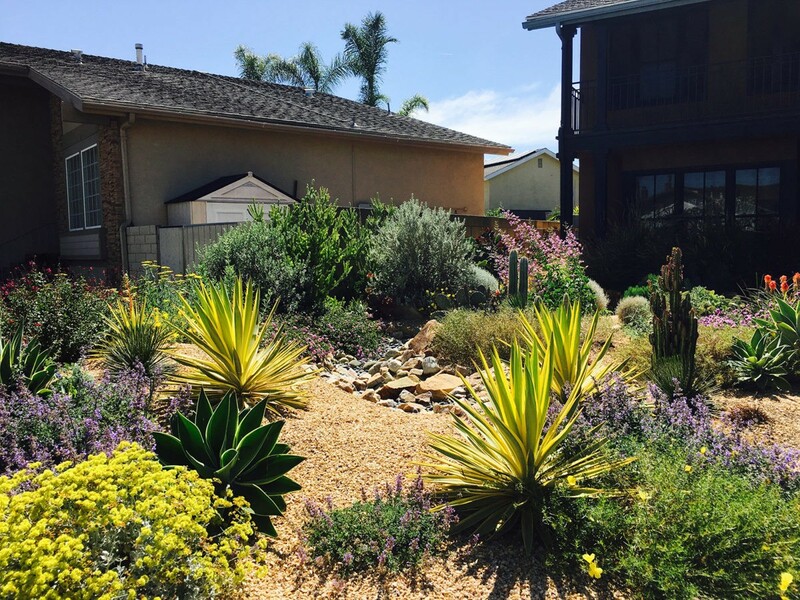 Tina Cremer, owner of H2 Xero Landscape, transforms this Westminster front yard into a thriving garden habitat. 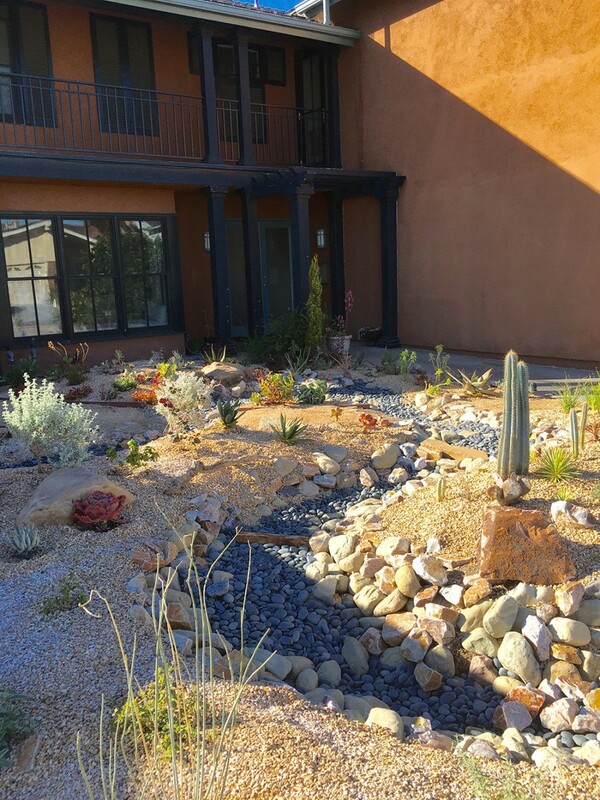 The homeowner wanted a realistic streambed as the focal point for the landscape. 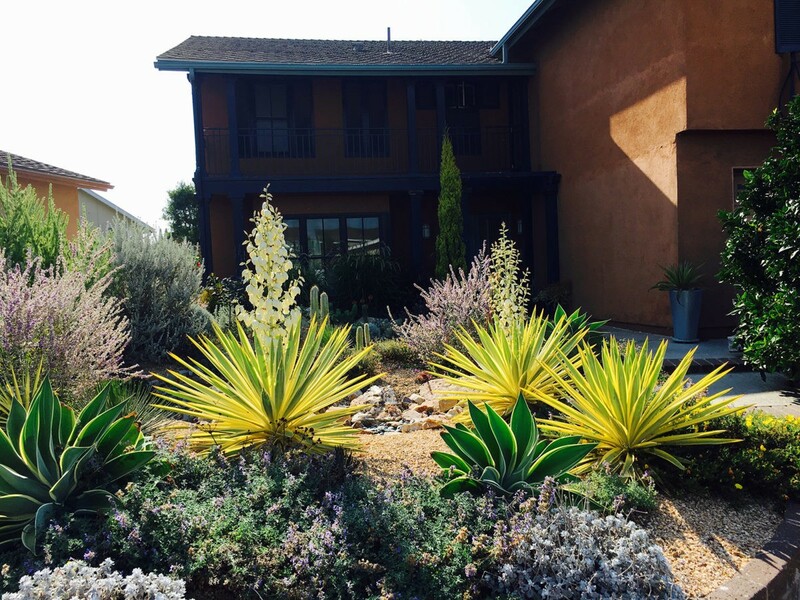 He also chose California native plants, succulents, and cacti to complete his new garden habitat. Due to potential concerns of standing water attracting mosquitoes, Tina offered a compromise. 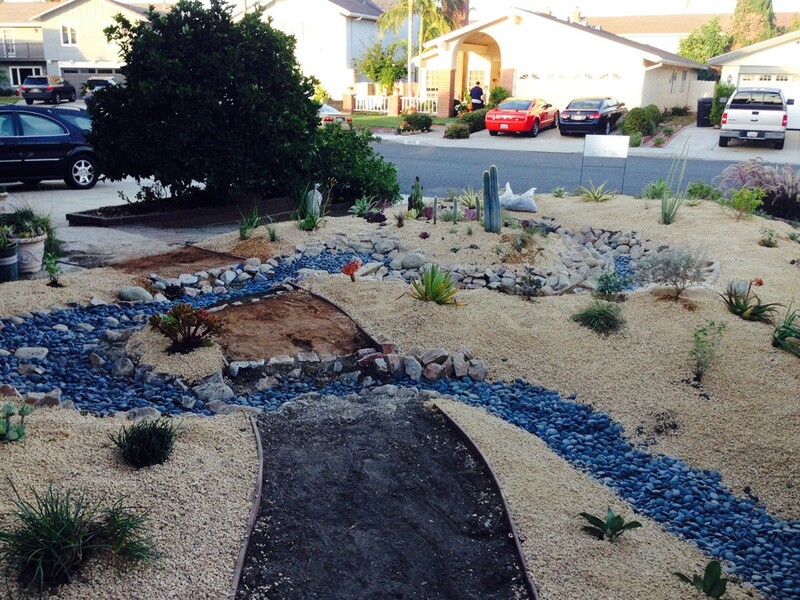 Tina designed a dry streambed that would ebb and flow during the rainy season. 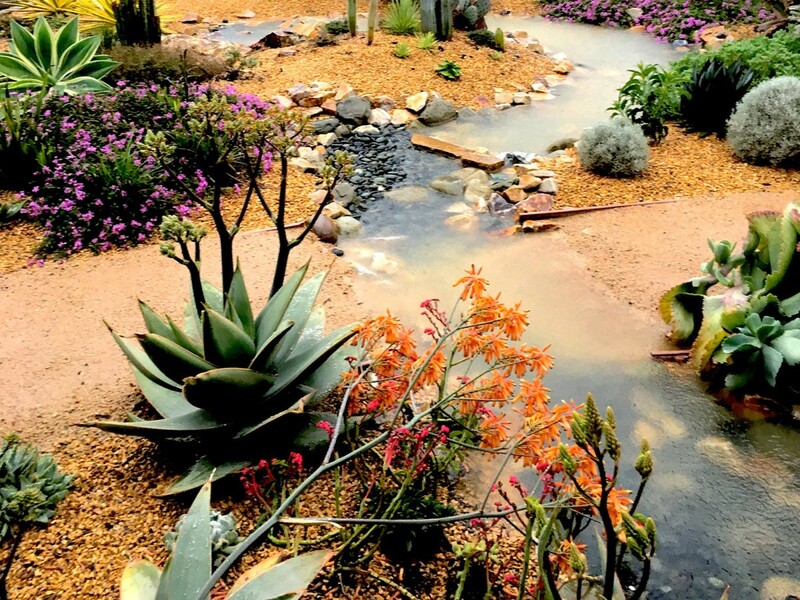 But that’s not all, the streambed would also offer deep irrigation to plant life. The main challenge of the project was due to the soil containing heavy clay which limits water percolation. To increase drainage, a load of Amended Topsoil was tilled into the top layer of existing clay. 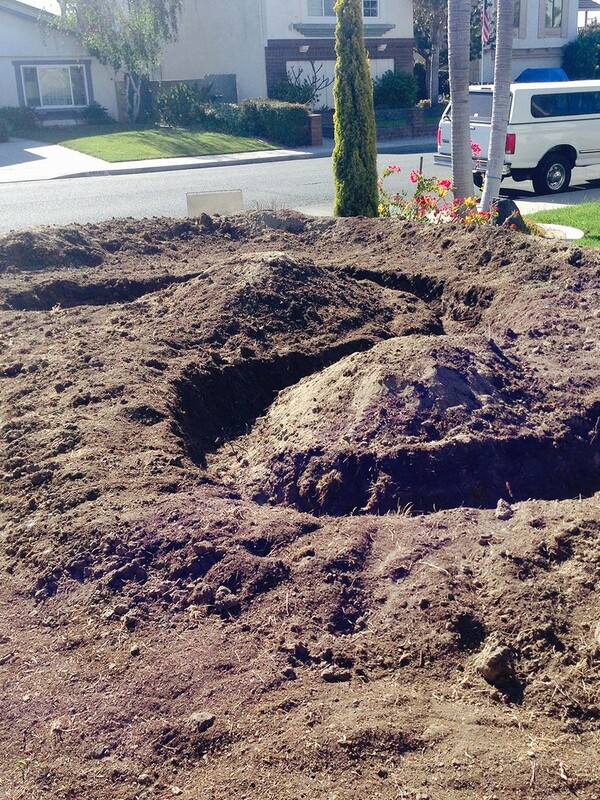 The new soil was also used to create berms of varying sizes. 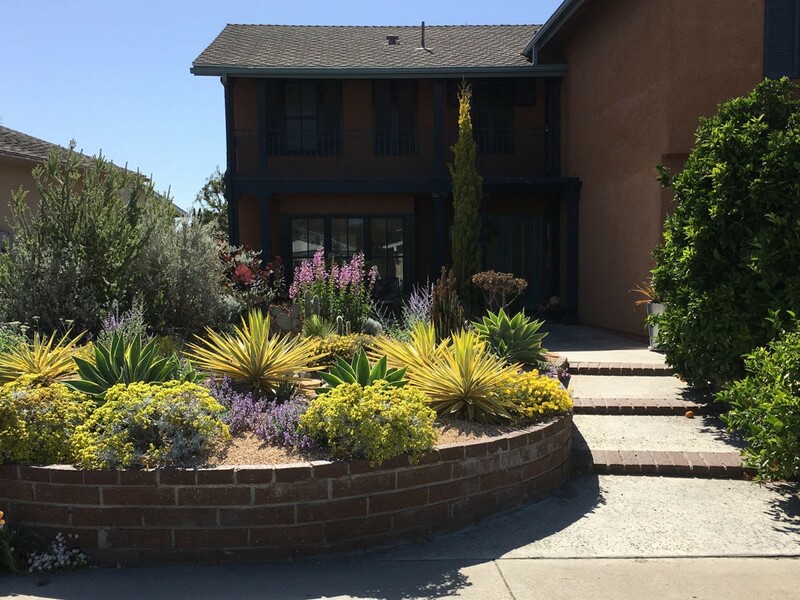 The varying elevations create a more natural and realistic look to any landscape. 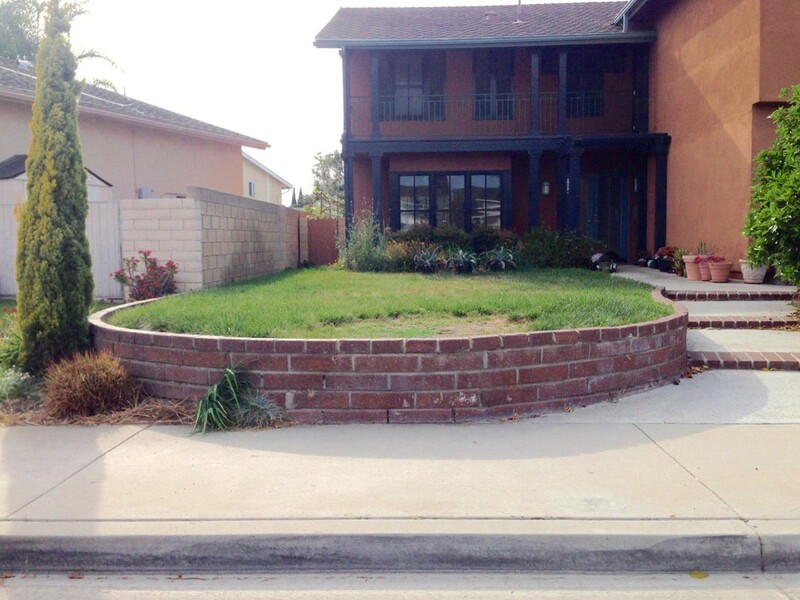 Are you wondering how each landscape rock product was used? 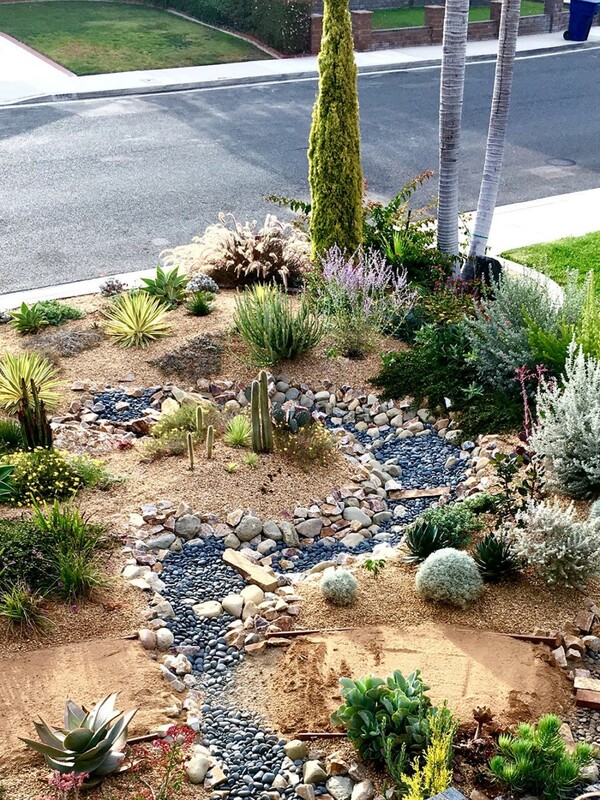 Realistic dry stream beds must begin and end behind something, like a pool, shrub, or boulder which gives the illusion of nature. If it starts or stops abruptly, it will look fake and out of place. Streams are never straight so always include curves in the design. Make sure the trench is deep enough for the base material and the rocks at the bottom of the stream bed. After the rock is added, it should still be lower than the surrounding ground level as in nature. There should be a variety of boulders and cobbles of similar colors. Varying the size of material is crucial if you want a realistic looking streambed. 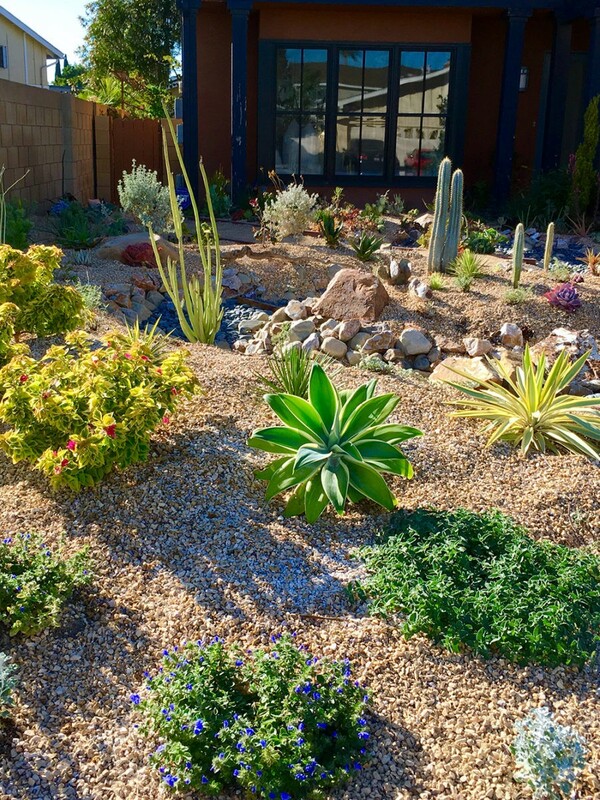 For more information on creating your own dry streambed, check out our very own installation guide, “DIY Dry Creek Bed Installation in 7 Easy Steps” now!